This Azure Developer certification training is aligned with the latest 2018 edition of Azure Developer Certified Associate exam AZ-203 which is a combination of AZ-200 and AZ-201 announced by Microsoft. This course curriculum will show you are verified by Microsoft to select, develop, and implement Azure cloud technology solutions, including cloud storage, Platform as a Service (PaaS), cloud security, cloud integration, and develop Azure Cognitive Services, Bot and IoT solutions. This course will prepare you for the newly launched Microsoft’s Azure Developer certification exam: AZ-203 which is a combination of AZ-200: Microsoft Azure Developer Core Solutions and AZ-201: Microsoft Azure Developer Advanced Solutions. The coursewares cover Azure architecture, Azure technology development solutions, Azure storage services and solutions, Azure Cognitive Services such as Computer Vision, QnA Maker, and natural language processing, Azure service solutions, security solutions, API management services, and much more. Please note that the training for syllabus of AZ-200: Microsoft Azure Developer Core Solutions training will be available as live virtual classroom and that of AZ-201: Microsoft Azure Developer Advanced Solutions will be online self-paced learning. The online Microsoft Certified Associate: Azure Developer course is ideal for experienced programmers who wish to develop and host solutions in Azure. Learners should be familiar with designing and building cloud solutions. What is required to earn the Azure Developer certification? NOTE: This exam is a combination and replacement for 2 exams previously known as AZ-200: Microsoft Azure Developer Core Solutions and AZ-201: Microsoft Azure Developer Advanced Solutions. Yes, the replacement for Exam 70-532 is the Azure Developer Associate certification, You can get this certification by passing exam AZ-203. This holistic curriculum prepares you for the exam. Exam 70-532 will expire on December 31, 2018, but will have validity for competencies until December 31, 2019. The new requirements will come into effect on January 1, 2019. What is the difference between 70-532: Developing Microsoft Azure Solutions and Microsoft Certified Associate: Azure Developer Certification? This new Microsoft Certified Associate: Azure Developer Certification course has evolved to have more in-depth coverage of the role-specific skills required in the industry compared to the previous certification. What if I have already taken the 70-532: Developing Microsoft Azure solutions certification exam? How do I become a Microsoft Certified Associate Azure Developer? If you have already taken the 70-532: Developing Microsoft Azure solutions certification exam, then you will have to pass the Microsoft Azure Developer Certification Transition: Exam AZ-202 to become a Microsoft Certified Associate Azure Developer. 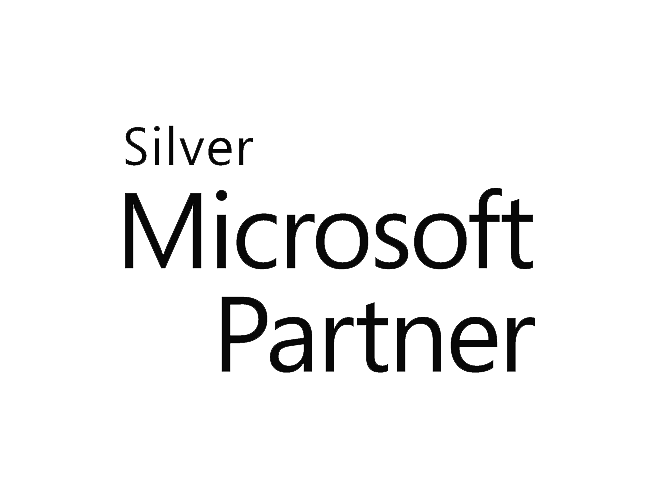 Yes, Simplilearn is a Silver Microsoft Partner, and the course is accredited by Microsoft. How much does Microsoft Azure Developer certification exam cost? The cost of Developing Solutions for Microsoft Azure Exam AZ-203 is $165.00 USD plus taxes each or INR 4800 plus taxes. This fee is paid to Microsoft when you register for your exam. How can I pass the Microsoft Azure Developer Exams in my first attempt? Simplilearn’s training course is designed to give you all of the skill sets necessary to successfully complete the required projects and help you pass the Developing Solutions for Microsoft Azure Exam AZ-203 in your first attempt. Please note that this course does not guarantee you will pass in your first attempt but you will be armed with all of the knowledge to do so. How long does it take to get Microsoft Azure Developer exam results? Candidates taking the Microsoft Azure Developer exam will know if they’ve passed almost immediately after they’ve completed their exam. When you take Simplilearn’s Microsoft Azure Developer certification training, you won’t need additional study materials. Everything you need to pass the certification exam will be provided in the course. How should I prepare for Microsoft Azure Developer exam? Simplilearn’s Microsoft Azure Developer training courses are aligned with the requirements of the exam. As such, our experienced trainers will help you learn to use the Azure platform and prepare for the certification exam. The successful completion of Simplilearn’s Azure Developer Training will allow you to pass the Microsoft Azure Developer certification exam and get certified. How long is the Microsoft Azure Developer certifications valid for? Azure Developer certification is valid as per Microsoft discretion. Retired certifications (i.e. certification for technologies that are no longer being used) move to the retired section of a candidate’s transcript. What skills will I learn from the Azure Developer certification course? With Simplilearn’s Azure Developer training course, you’ll put yourself on the path to Microsoft Azure Developer certification for on the job success. Depending on the course you take, you will learn to design and maintain cloud infrastructures and configure and design web applications. You will also work on realistic, practical projects that will help theoretical concepts come to life and help you pass your certification exam with ease. Where can I download the Microsoft Azure Certification application? In what languages are Microsoft Azure Developer exam available? The Azure Developer exam can be taken in a variety of languages. The exams are available in English, Spanish, Chinese (Simplified), Chinese (Traditional), French, German, Japanese, Portuguese (Brazil), and Russian. Those who have to take the test in English and aren’t comfortable with it can appeal for additional time.